Great news. We have been able to secure a tour around Ilkley Fire Station this Friday, 27th November. Please see below for details of the meeting. This is a great opportunity to learn about the Fire Service and how they help keep all of us in the Ilkley area safe and respond to emergencies. Not only is it a great thing to know about but it will also contribute towards the Fire Safety Badge. Please meet at the Ilkley Fire Station at the normal meeting time of 19:15. Scouts should be collected from the Fire Station at the normal closing time of 21:15. Full uniform must be worn. The programme for the rest of this year and the early part of 2016 has been published on the Programme page of the website. Please check out the things we will be up to over the next couple of months. If your son or daughter is going to the Winter Camp then take a look at the suggested kit list. Camping in winter is a little different to the spring or summer, with the weather generally wetter or colder – or both. We have prepared a suggested kit list with ideas of the personal equipment you may want to take. It is really important that you have full waterproofs and warm clothing. A warm hat and gloves and plenty of layers are good things to take, and remember your walking boots and thick socks. There is also less daylight so remember your torch and spare batteries. Click the link below to download the kit list. 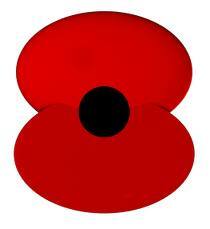 This Sunday 8th November the Scout Troop will be taking part in the Remembrance Day Service and Parade in Ilkley. Please see below for details. We will assemble in Whitton Croft Road, behind the Town Hall, at 14:15. The parade will move down Wells Road and The Grove followed by a service in the Memorial Gardens. Scouts will be dismissed from the Memorial Gardens after the service at around 15:40. Sign up now to join us on the Winter Camp later this month. For the attention of all Parents, please see below links to a letter and permission form for the forthcoming Winter Camp at the Sconce camp site.